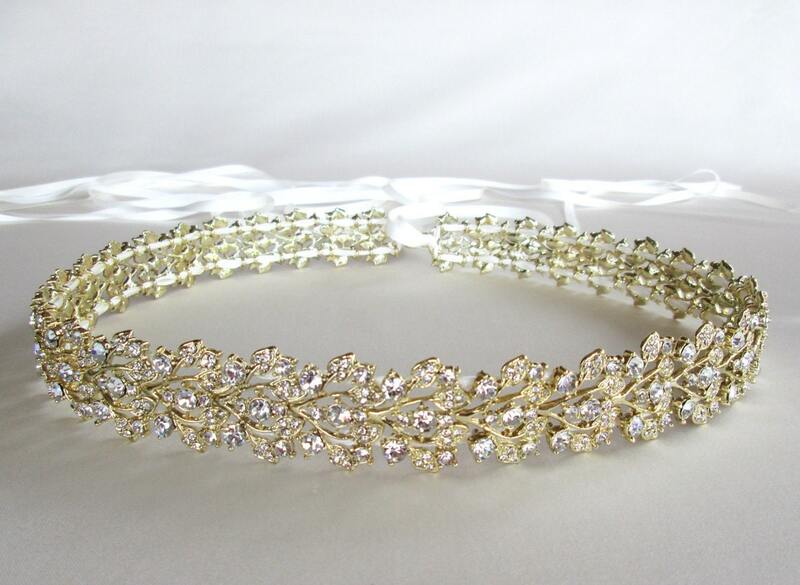 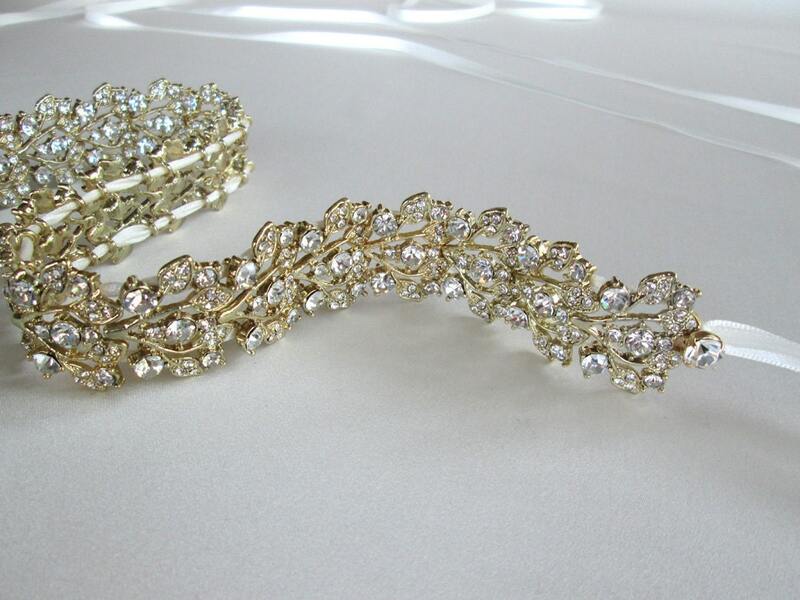 This elegant bridal belt is made with top quality Austrian crystals set in a gold plated setting. 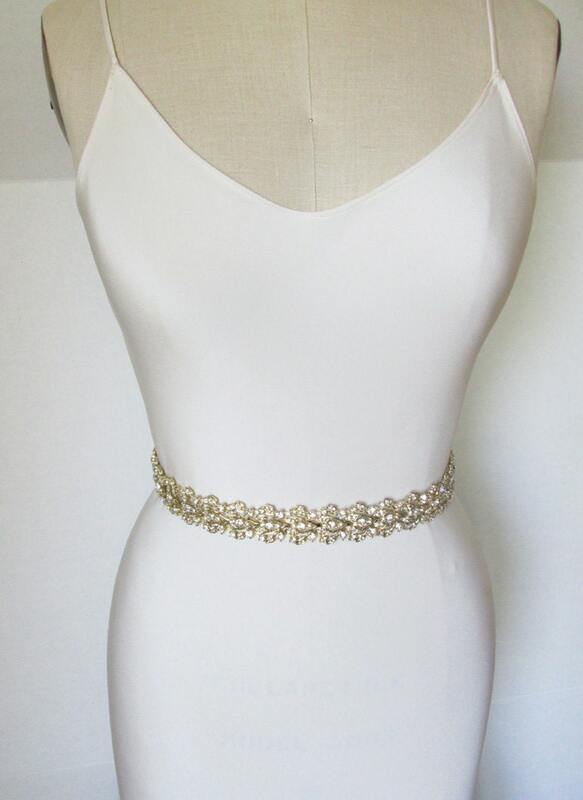 The belt has an floating crystal effect that allows your dress to peek thru in between the crystals. 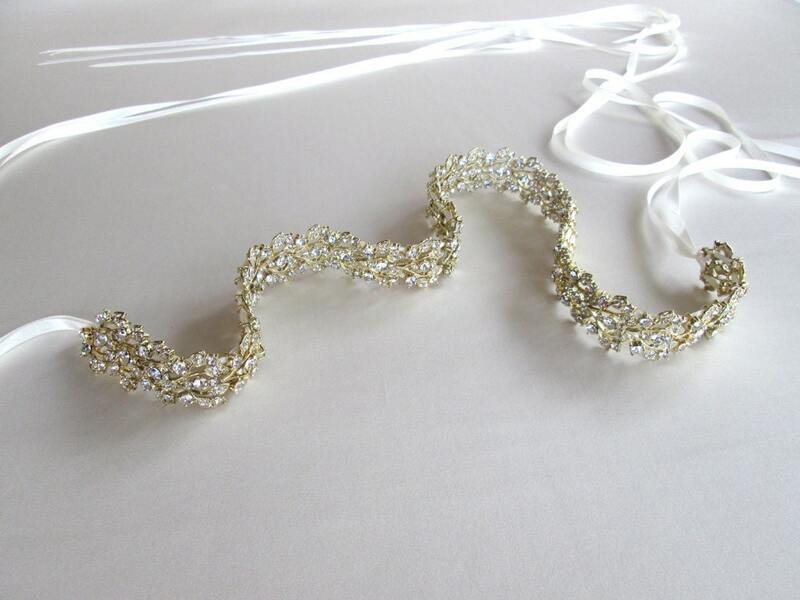 It is tied with four petite ribbons in your choice of color, each ribbon measuring 1/4" wide and 50" long. 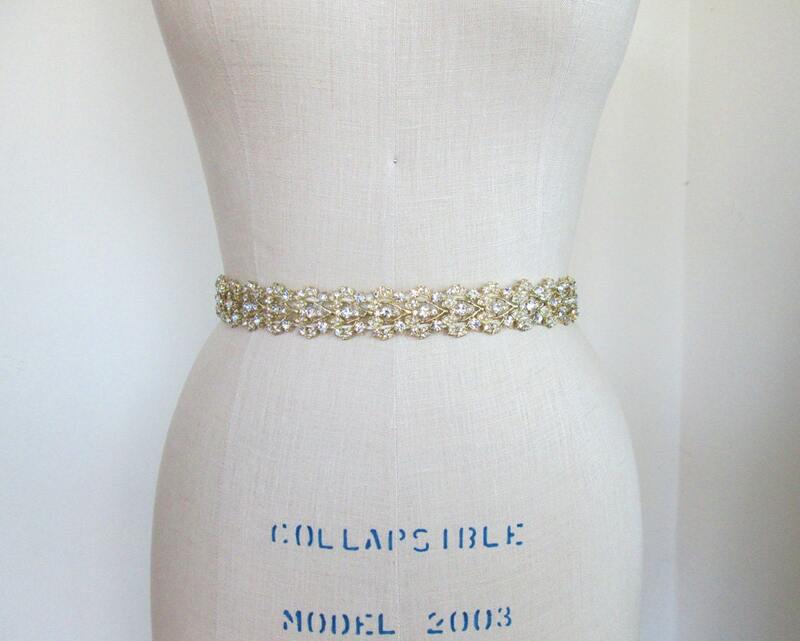 This belt measures just over 1" wide.